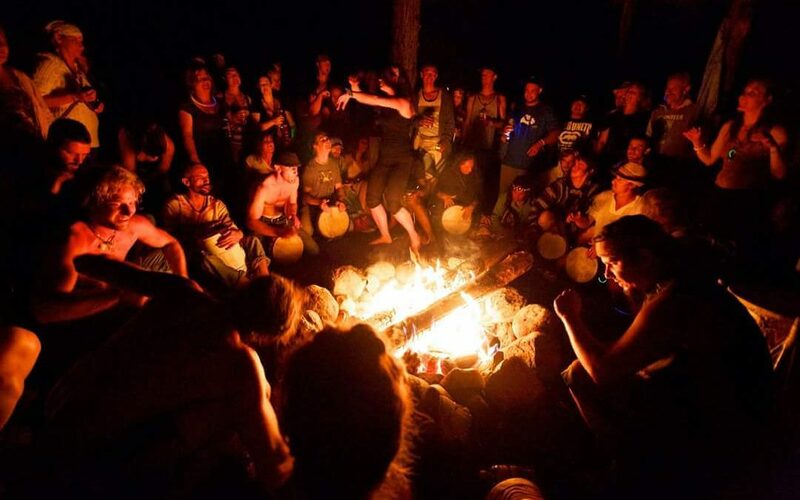 Gather with us around the fire…Opening Ritual and Fire Lighting Ceremony Friday night. At this time we will light the Sacred Fire as we sing dance chant and drum to open the circle and create sacred space for all. We keep the embers red, rain or shine, night and day ALL are welcome! Once the fire is ignited we drum and dance around it all night long until sunrise. Bring your drum, chairs or blankets to sit on. You may dance, you may chant, you may celebrate or rest and dream to the organic sounds of the shamanic rhythms of the drums. There will also be a fire dancing and cyr wheel stage for anyone who wants to spin fire. You will need to come to one of our fire safety meetings and receive a wrist band in order to spin.